60mm x 297mm Groovi Plate Groovi Border Plate Wedding Decorations With desinctive designs, these intricately clever plates are laser etched and offer precision for any crafter with ease. Just follow the design path through parchment for brilliant results. 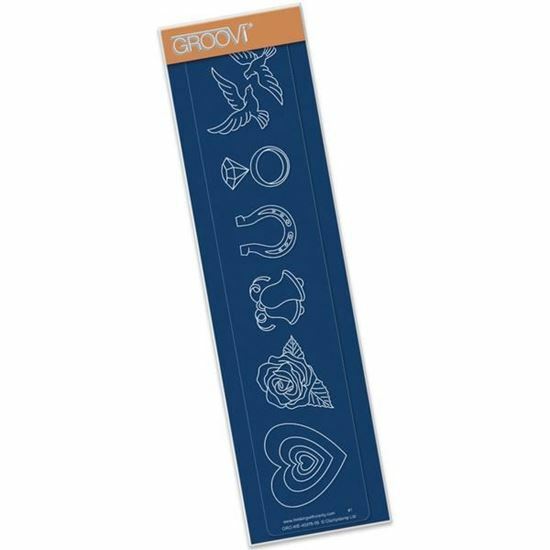 For best results from the Groovi Plates and Groovi Plate Mate, use the 0.8mm - 1.3mm embossing tool.